PHARR — Two police cruisers parked in front of the southbound entrance to the busiest international bridge in the Rio Grande Valley on Tuesday afternoon. One officer stood in front, waving his arms to signal approaching vehicles that they could not pass through. SUVs and sedans with Texas and Mexican license plates were turned away. The beginning of President Donald Trump’s border shutdown? Not exactly. From time to time, disgruntled farmers in Mexico set up blockades in Tamaulipas with their tractors in protest of not receiving money from the government they believe they’re owed. Sometimes they disrupt traffic flow in Reynosa, other times they block bridge traffic. The latter occurred on Monday, as farmers parking their tractors in front of the northbound lanes on the Reynosa side of the bridge. This time, though, it lasted more than six hours. Usually it’s just a few. Compounding the issue was the reassignment of up to 750 U.S. Customs and Border Protection officers from ports of entry to assist Border Patrol in dealing with the apprehension and detainment of large numbers of immigrants crossing into the U.S. With the Pharr-Reynosa International Bridge being the busiest commercial crossing in the Valley, an additional obstacle like Monday’s blockade only made issues worse. “What timing,” said bridge director Luis Bazan. The police blockage of the passenger vehicle lanes on Tuesday afternoon was meant to help with the overflow of trucks needing to cross the bridge on Tuesday that were not able to on Monday, according to city officials. A southbound lane for trucks was kept open. In the last week, the president has threatened to close the 1,900-mile border, which includes dozens of international bridges where passenger vehicles and cargo trucks cross by the tens of thousands every day, impacting the multi-billion dollar American trade industry. Trump has hardly let up on the warning, though he has not expounded on what a border closure would entail. But the effects of a potential shutdown have already started to take shape, and the first two days this week have provided a glimpse of what could be if Trump follows through on his threat. Bazan estimated that about 50 CBP officers have been reassigned from the Pharr bridge, which is the busiest produce crossing in the country. The bridge has lost an hour per day in operations and was forced to close one of its lanes. Other bridges have had to do the same. The Anzalduas International Bridge had to cut out a lane due to staff issues as well, officials said, leaving only three open lanes on Tuesday. The Hidalgo-Reynosa International Bridge usually has between five and seven lanes open on a given day, depending on traffic flows. But only four were open Tuesday. “It’s bad,” said Rigo Villarreal, superintendent of bridges in charge of both the Anzalduas and Hidalgo bridges. Several truck drivers said in interviews on Tuesday that they either opted to not even attempt to cross the busy commercial bridge on Monday, or they waited for hours. Two drivers who had just crossed the Pharr bridge Tuesday afternoon pumped gas into their 18 wheelers and said they hoped the wait times wouldn’t be so bad the rest of the week. 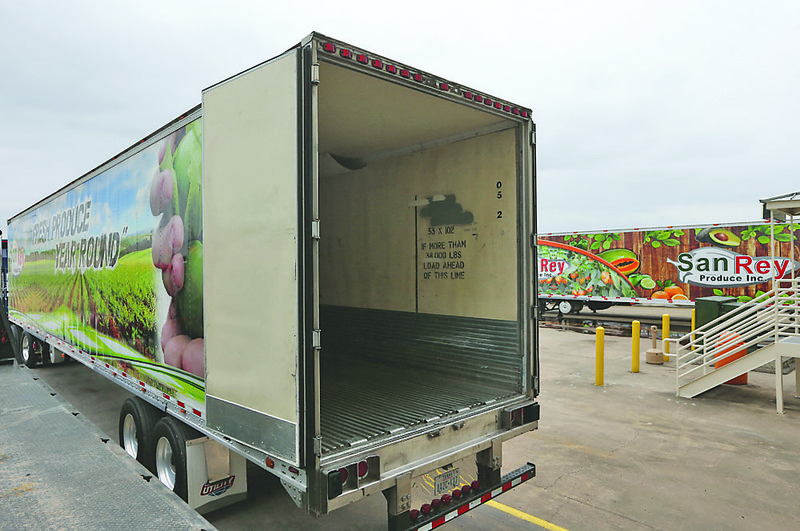 Martin Arteaga, one of the truck drivers, had just sat in traffic on the Pharr bridge for two hours with loads of bell peppers to deliver to a distribution center in San Juan. Arteaga said he would possibly take the Anzalduas bridge on his return trip back into Mexico, but would use Pharr if he could. The Pharr bridge is the only one in the region with full commercial truck operations. Hidalgo only crosses passenger vehicles, busses and pedestrians while Anzalduas crosses vehicles and southbound empty trucks, and those empties have only been allowed to cross southbound at Anzalduas since 2016. Monday was the busiest day yet for those truck crossings at Anzalduas: 325 southbound empties. One problem for that truck traffic, though, is Mexican customs on the Reynosa side of the bridge only operates from 3 to 10 p.m.
Traffic flowing the other direction — northbound — on Monday was backed up for two or three hours, Villarreal said. While uncertainty continues at the bridges and in the trade industry, a few Republicans in Congress spoke up on Tuesday. “Closing down the border would have potentially catastrophic economic impact on our country, and I would hope we would not be doing that sort of thing,” said Senate Majority Leader Mitch McConnell. Meanwhile, the Texas Association of Business issued a warning. 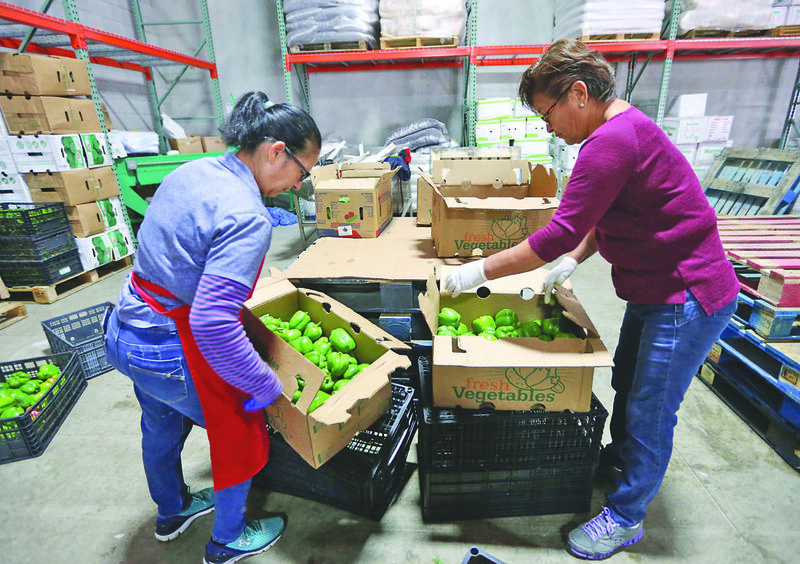 Sergio Contreras from the RGV Partnership, the region’s chamber of commerce, also called the prospect of a shutdown “catastrophic,” and that businesses are already feeling the effects. The line of cars waiting to enter the country at the Anzalduas bridge on Tuesday was not nearly as long as the day before, Villarreal said. Some of those lined up included plant managers who live in South Texas but work in Reynosa. About 300 of them cross the bridge every day to go to work.